“Affordable housing is hard.” There is no truer statement than this, especially now. For many, Atlanta has always been an affordable place to live. It’s a city with a wealth of amenities, and as a region, a wealth of housing options that other metro areas find enviable. The early 2000s brought a surge of new wealth-building opportunities through real estate. The booming real estate market was seen as the great equalizer in a city and nation fraught with inequities in the attainability of acquiring and sustaining long-term generational wealth, especially for people of color. That was until the financial crisis hit and the viability of long-term wealth building through home ownership went away just as quickly as it came. The nation experienced a foreclosure crisis that brought us so close to Depression-era levels of loss, (loss of homes, jobs and stability) that we were all worried. But we rebounded. We came out on the other side, and today, our economy is strong. However, the bi-product of all that economic mayhem was a real estate market that was not ever the same. There are currently 2.2 million households in metro Atlanta. According to the Center for Neighborhood Technology, 48 percent of those households spend at least 45 percent of their income on housing and transportation. The construction of single-family units has slowed and the development of luxury apartment rentals increased. Because of this, Atlanta loses on average, 1,500 affordable housing units annually. Atlanta’s competitive edge as an affordable place to live is at risk. This current housing crisis has caused many of the region’s leaders sit up and take notice. During her inauguration, Atlanta Mayor Keisha Lance Bottoms promised $1 billion toward housing affordability within the city and has appointed the city’s first Housing Commissioner. Atlanta’s public, private and nonprofit leaders came together as a collaborative to imagine what it would take to make that a reality. HouseATL has engaged more than 150 civic leaders and out of this came a set of 23 key recommendations which include creating an investment strategy with $500 million in public resources and $500 million in private resources. The Atlanta Regional Commission is working to address housing affordability from a regional perspective, and affordable housing conversations throughout our region are happening in communities like Norcross, Sandy Springs and Brookhaven. The Community Foundation for Greater Atlanta continues to engage and partner with these efforts because we are committed to the using our resources to improve communities throughout the Atlanta region. Our focus in community development is to advocate for economic growth that is inclusive for all Atlanta residents. Everyone should feel safe and connected in the communities they live. None of us can do that alone. 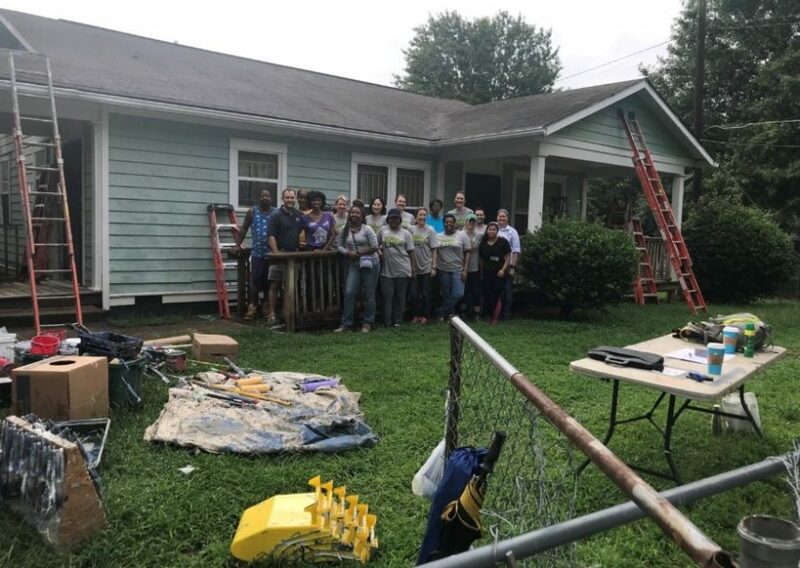 We are privileged to work alongside partners like Mercy Housing Southeast, Enterprise Community Partners, the Arthur M. Blank Foundation and the City of Atlanta as we seek to find solutions to Atlanta’s affordable housing challenges. The region’s collective approach to addressing this issue is not just necessary, but vital. And as we continue to work together, we continue to grow and strengthen our communities for all of the region’s residents.